This lace up dress gives me vibes of 70s rock, Woodstock and desert gypsies which is everything I want in a dress, partially because it gives me serious wanderlust. 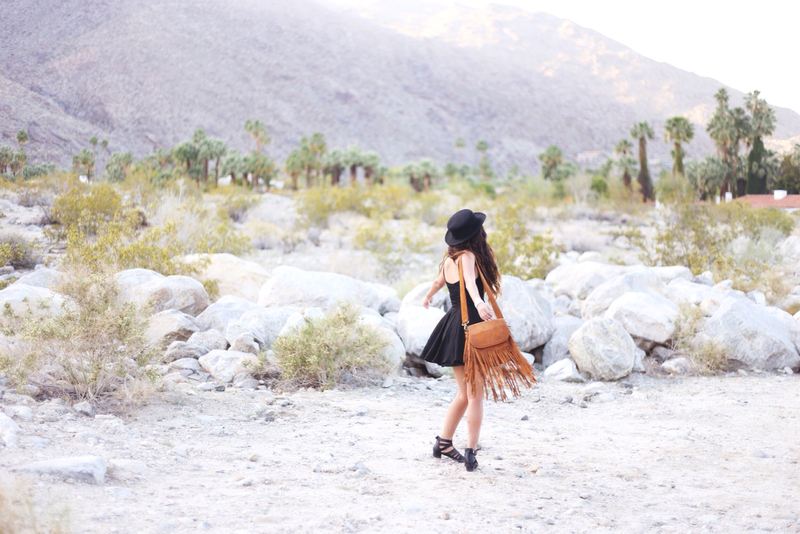 Who says fringes should only be for festival season? But then again, I would be okay with dressing like this year round. Love everything about this outfit, dress and bag are amazing! Your images are always so beautiful! Love this boho look. You're not the only one with a fringe addiction right now, haha. Everytime I wear fringe, I feel like I should be on the beach somewhere in a drum circle, and just being a pure hippie. You know what, that's exactly what I'm going to do lol. Anyway, really great outfit. I love the boho vibes to it. I'm really loving that Nasty Gal dress too! It's just so freakin' cute! I love love love that dress and that bag is awesome. You look great! Love that dress and the lace up bits!